When you were a kid, your uncle most likely took you to Disneyland, bought you assorted chocolates, and would not tell mum and dad that he caught you doing those nasty things that would have attracted hot whacks on your buttocks. And, as you grew up, he became an indispensable role model, a supplementary caregiver, and a friend indeed. So, there’s no better day to let him know how much you appreciate all his inputs in your life than his birthday. 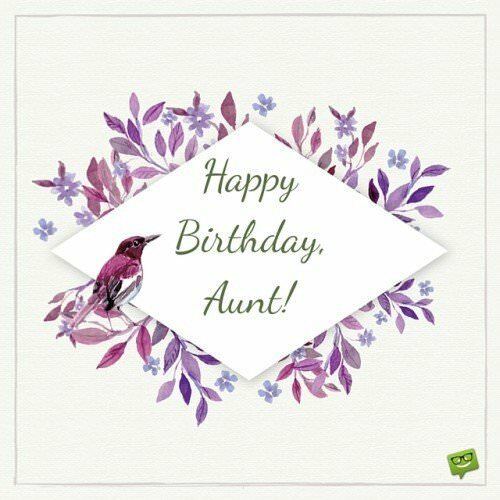 We have huge selections of original happy birthday messages for an uncle, including sweet, loving, endearing, funny, and formal wishes. And, if you rather prefer a special poem to say happy birthday, uncle, our unique poems dedicated to an uncle on his birthday will surely inspire you. You are the father-figure in my life, you are more than an uncle to me. Happy birthday to my dearest uncle. You understood my feelings even when my own parents didn’t, then you helped veer me into the right path, patiently and lovingly pointing me to the right direction. I celebrate you today and always. Happy birthday, uncle. When I wink, you understand what it means, when I smile, you could tell if there’s an undertone of unhappiness behind the smile. You understood each of my every move. I didn’t know how you were able to do that. But, I know one thing, it’s all because you care. 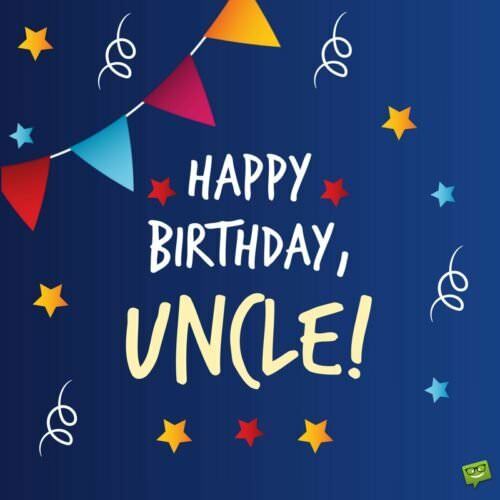 Have a fun-filled birthday, sweet uncle. Sometimes I wish my father is like you, that’s because you understand me better. I’m happy you are celebrating another birthday today. I celebrate with you, my uncle and my best friend. At school, when my friends would ask, “who bought you these shoes?” I will reply, “my uncle”. “Who bought this t-shirt for you?” I will reply again, “my uncle.” Then they will echo in unison, “you have the best uncle in the world!” That is nothing but the truth. You are the best uncle in the world, which is why I shout out aloud, happy birthday, uncle! When I grow up, I want to be a great uncle to my nieces and nephews, just like you. Thank you for being a great uncle! Happy birthday. You are my favorite among my uncles, not just because you pampered me, but also because you disciplined me when occasions called for it. Thanks for being there for me! Enjoy your birthday. My uncle, the one whose unique chuckle makes my face go all twinkle. Thanks for being a fun person to be with. Happy cheers on your birthday. Many uncles have done excellently, but you surpass them all. Happy birthday, uncle. 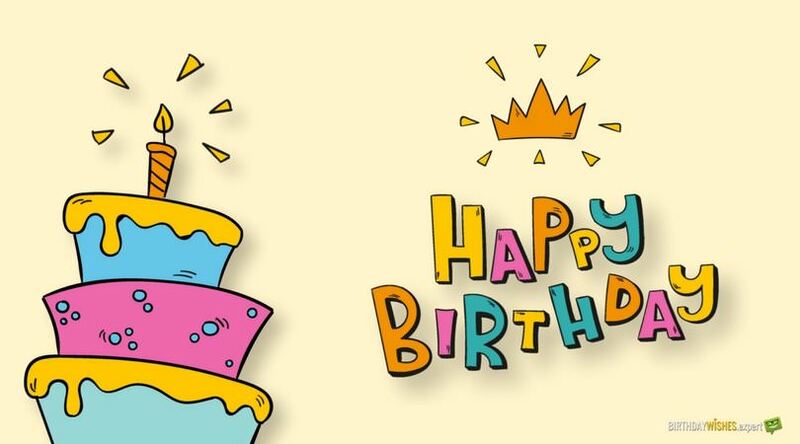 You are always the first among my relatives to remember and send me birthday wishes. I am reciprocating that thoughtful gesture today. I beat my other nieces and nephews to it, I’m the first to say happy birthday, uncle. The rest can now follow suit. You had to wear a child’s nature, just to win my heart as a child. Now that I’m all grown up, I can understand what great sacrifice you’ve made just to understand how I feel, in order to meet my needs. You are the best! Happy birthday, my uncle and my mentor. 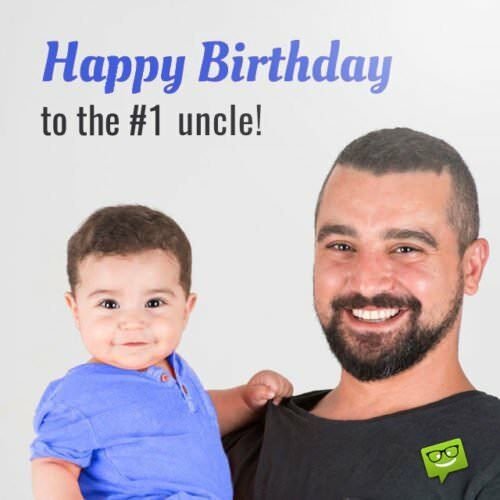 Happy Birthday to the #1 Uncle! Uncle, my special wish on your birthday is to marry a kind man like you as a husband. But, he shouldn’t have your other side… spanking all day long. 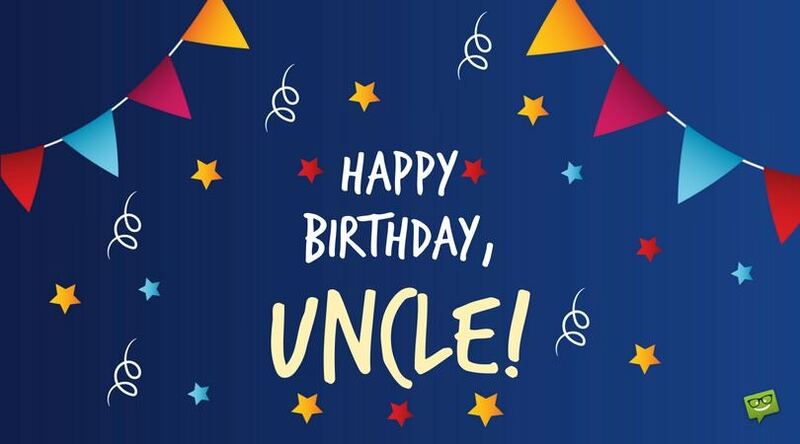 Happy birthday, sweet uncle. Uncle, I missed your funny jokes. Will it be too much to ask for one of those jokes on this special day? Okay, don’t worry, I will tell you one instead. Happy birthday, uncle. A great uncle is 50 today. Loud happy birthday cheers! You’ve lived for 5 decades, I wish you another 5 decades…and more. HBD. More 50th Birthday Wishes to read and share. You’ve been a role model, a caregiver, a friend…more than an uncle to us all. 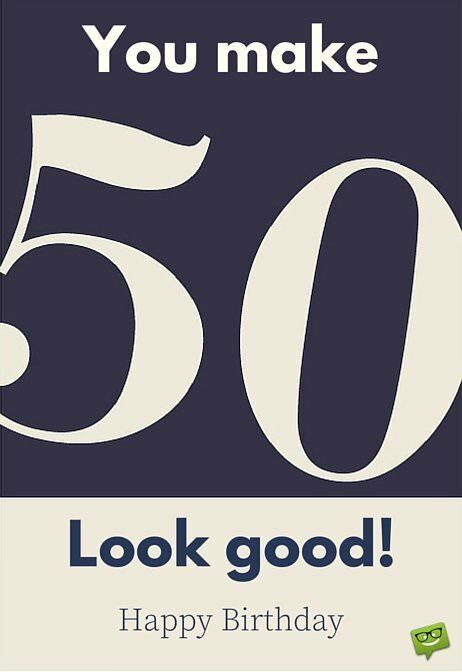 We celebrate a great hero on his 50th birthday. For many, 50th birthday is a reminder of retirement in few years ahead. Just focus on the moment and let tomorrow take care of itself. 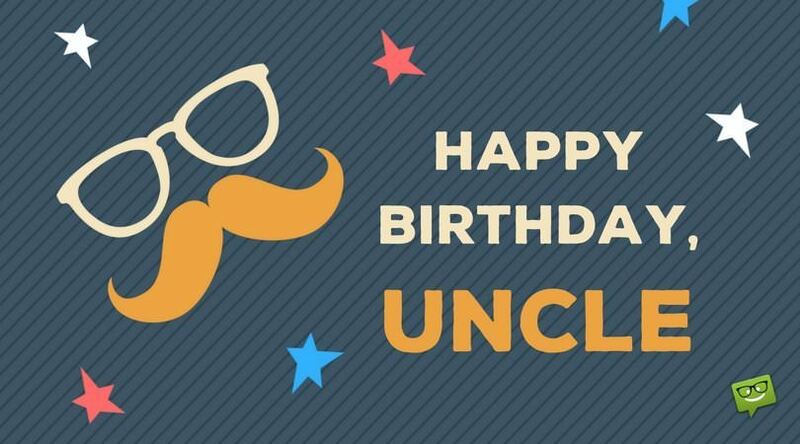 Have a fun-filled birthday, dear uncle. But for you, I wouldn’t have experienced fun growing up. Thanks for being there all these years. Happy birthday. I pray that you become more fruitful as you grow older. Enjoy this day to the fullest. Happy birthday, dear uncle. 50 hearty cheers to my uncle and my role model. I pray the rest of your years will be free of trouble. I join you today in jubilating. All the disciplines of yesteryears that appeared like punishment, have helped in molding me to who I am today. Thanks for not over-pampering me. Happy birthday, uncle. I could tell you what I couldn’t tell dad and mum, that’s because you gave me a listening ear. 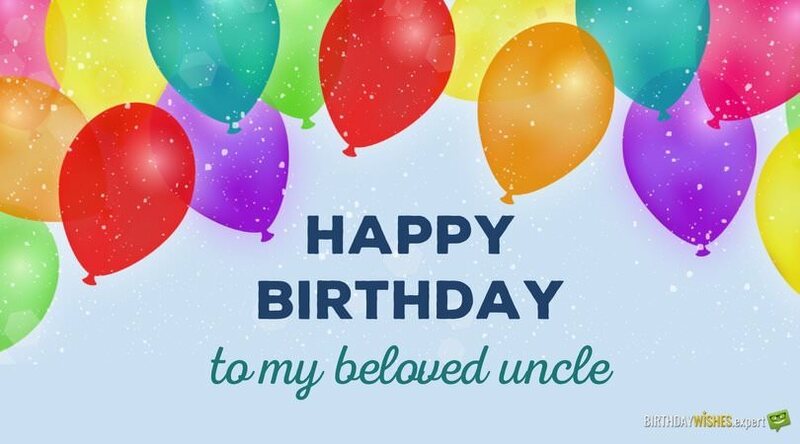 Enjoy this day to the fullest, dear uncle. Happy birthday. You were and still are dad’s great companion in raising me, in every aspect. I truly appreciate you, uncle. Happy birthday. I’m a better uncle today because you set the pace for me to follow. Thanks a lot and happy birthday. Happy Birthday to my beloved uncle! Grateful to Be Family | Happy Birthday, Cousin!